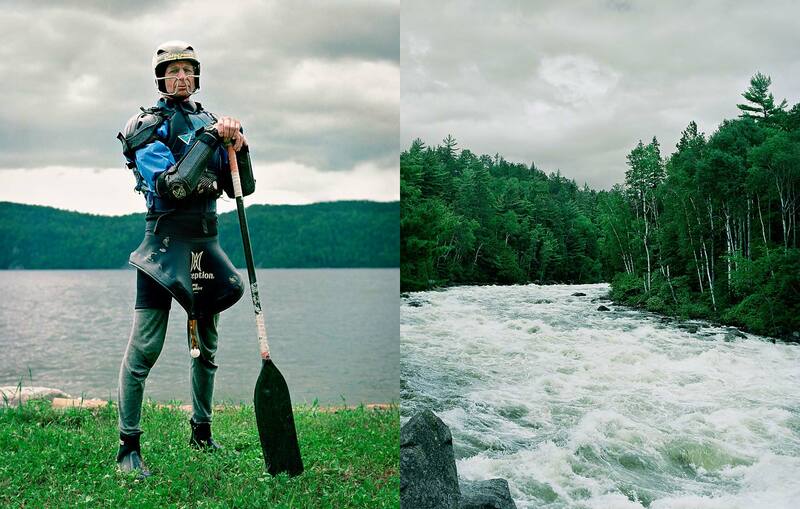 Portrait of white water kayaker in full kayaking equipment standing on shore of lake in Quebec, Canada. Juxtaposed next to portrait is landscape style photograph of white water river he has just run. Photographed on film in Quebec, Canada by Atlanta based editorial and advertising portrait photographer Nick Burchell.